It was another solid week for the 3 Stocks to Wealth newsletter. We expected ALGN to have a big earnings beat and they delivered again on Thursday evening. After this week the 3 Stocks to Wealth newsletter is now more than an 8-bagger, before slippage and fees, in just over five years for those using the instructions in the getting started video each week since inception. This is about 45% per year compounded. I checked the renowned Hulbert financial digest top 10 newsletters and the 3 Stocks to Wealth newsletter crushed their top performing newsletter over the past five years. Granted the 3 Stocks to Wealth strategy is a passive swing trading strategy rather than an investment newsletter. However, it only requires 15 minutes per week and has easily beaten all of the top investment newsletters they track. 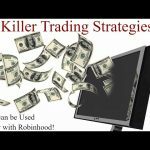 Starting with $30,000, the extra 10% per year with the investtobefree.com strategy translates into an extra $60,000 in your account assuming you would have somehow picked the top-performing investment newsletter at Hulberts ahead of time. It would have made you over $110,000 more if you would have somehow picked the median of the top 10 performing newsletters on Hulbert. 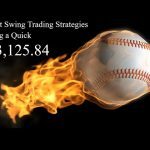 The power of an effective swing trading strategy on stocks with rapidly improving fundamentals. The 3 Stocks to Wealth has had incredible out-performance over the past five years and requires just 15 minutes of your precious time on 1 day per week. Best of all it does NOT rely on risky penny stocks, options or leverage. In our latest video I go over how to try and squeeze added performance out of the investtobefree.com 3 Stocks to Wealth strategy. A technique that worked great with ETFC last week but got us out at a slightly lower price than just a market order on ALGN this week. This week we saw our first earnings eruptions trading setup on Friday and both FB and ALGN made big profits for us after being featured in the Weekly and Daily Alert. SINA got caught in the market downdraft on Thursday and we cut a portion of our new position for about a 3% loss. But we profited big on FB breaking out of a very bullish ascending base pattern ahead of its release. Just before facebook soared 12% in just over 2 weeks into another big earnings beat. ALGN was featured breaking out of a flat base pattern and is one of the best but often overlooked growth stocks in the market. As with NFLX, ALGN broke out of the bullish pattern and soared after earnings and is up nearly 12% within 2 weeks. Its poised to make another follow-on move on Monday. We trade top growth stocks breaking out ahead of earnings as long they have a strong tendency of beating estimates with stable or rising estimates. We also insist on a very bullish, well-formed consolidation pattern ahead of the breakout.